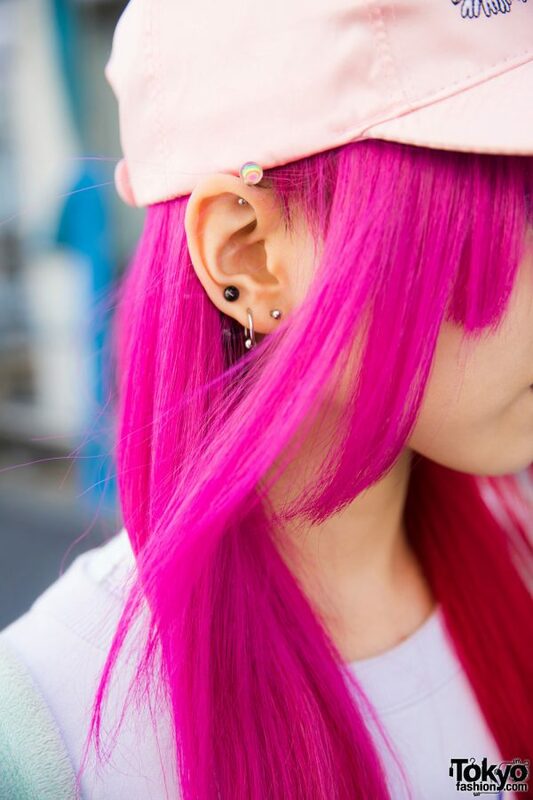 In Harajuku, we met Sebone, who caught our eye with her pink and red ombre hair and cute fashion style. 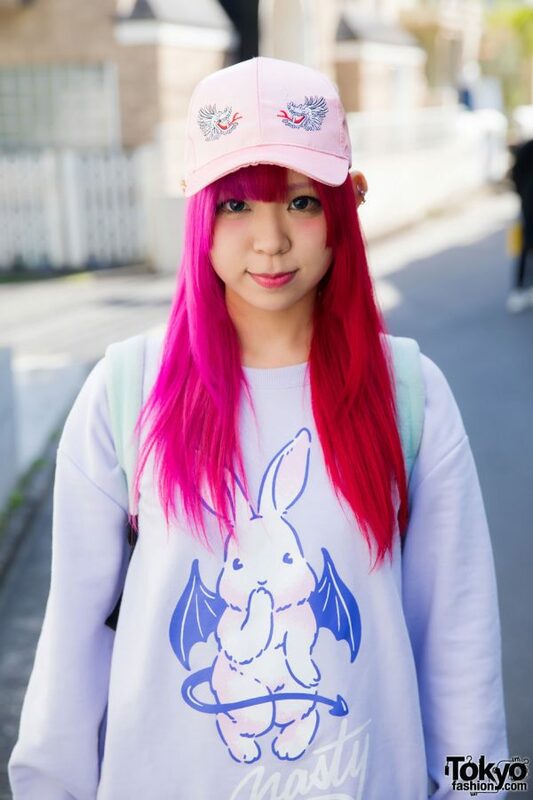 She is regularly featured in our snaps, the last one with her sporting pastel hair and kawaii fashion. Today, Sebone is wearing a Listen Flavor “Nasty” bunny sweater, a resale polka dot skirt, pink socks, and white platform shoes with bunny ears from Yosuke. 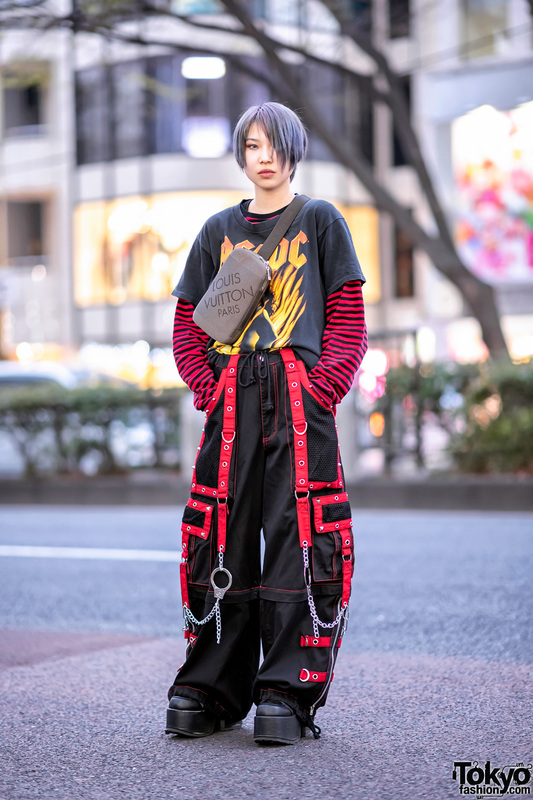 Her accessories – from 6%DOKIDOKI and Kuchidake Bancho – include a pink dragon cap, ear studs and hoop earrings, a coffin ring, a pentagram ring, and a cross ring. Sebone’s favorite brands are Listen Flavor and Angelic Pretty. She listens to Japanese band Ali Project. She is active on both Twitter and Instagram.